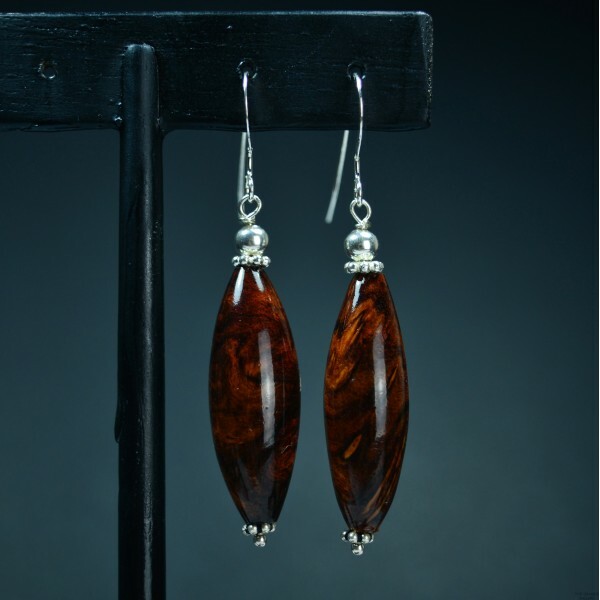 Hand crafted in our woodshop in Belize, each pair of Rosewood Burl Almond Earrings is a perfect example of our mission to use every ounce of rare, salvaged, Rosewood Burl. The beads are then assempled into original designs by our jeweler in The Orange Gallery. 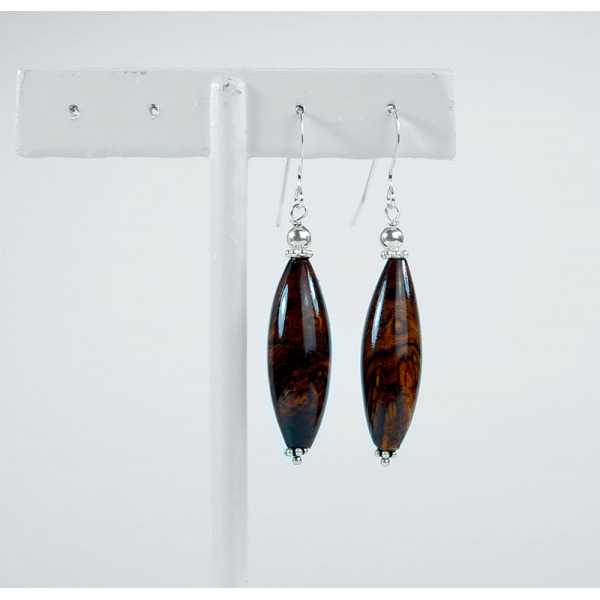 These earrings are crafted in the wood shop at The Orange Gallery. 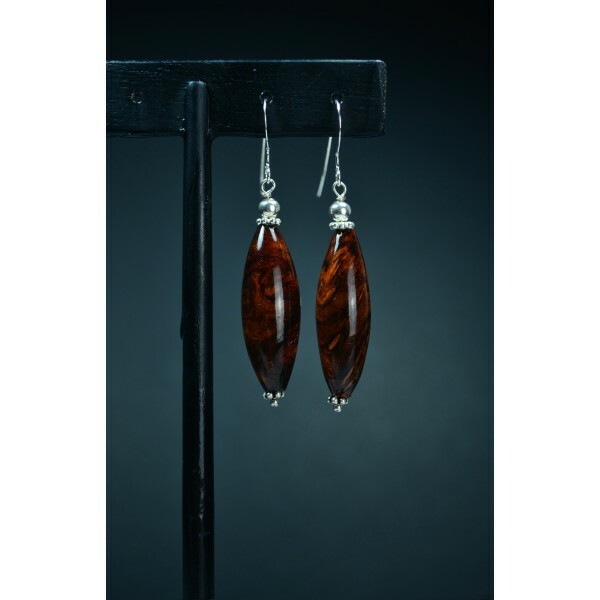 The earrings are assembled by hand, carefully put together for a marvelous result. 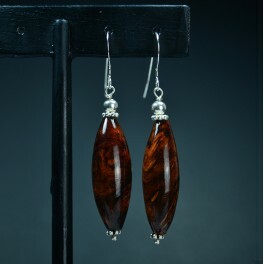 Our Rosewood Burl earrings will give you a glimpse of Belize's beauty. This exotic piece is perfect for attending your friends wedding; you will not be disappointed in the magic this earring holds.